Last night was the second night that the Champagne Quilters got together. 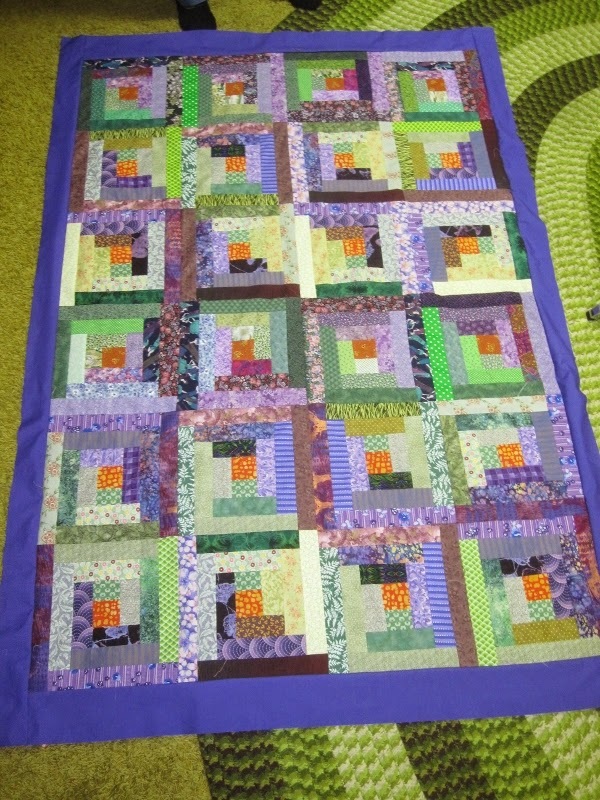 Last week we tweeked the quilt top and sewed the extra rows together. I say tweeked because Ann was not happy with the placement of some of the blocks. It seemed that there were some strips in the log cabin where the same fabrics were touching. It didn't bother Marg and it didn't bother me but Ann insisted and so we spent time taking some blocks out and moving them. Not a big deal really. This is sort of where we left off in June/July. 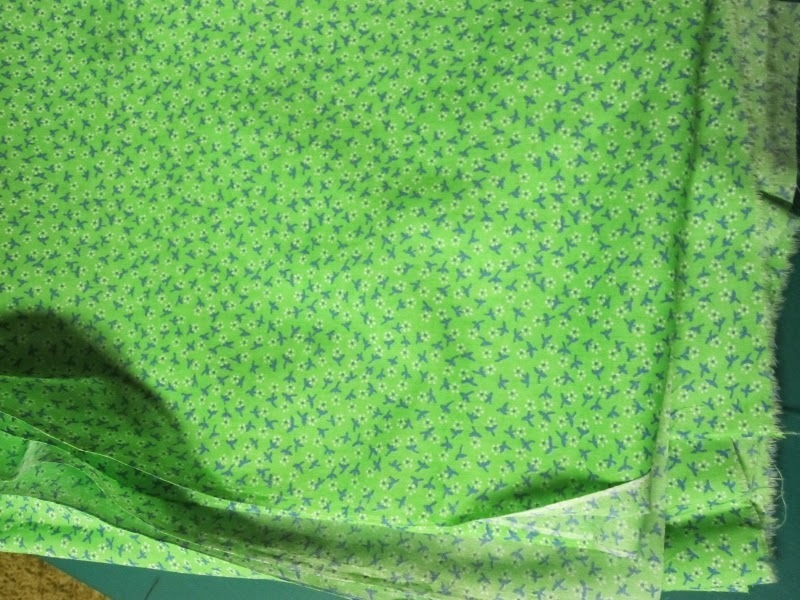 If you look at the third row in from the right, you will see that the top two blocks have two of the same fabrics touching. Things got shifted and moved and this was the final layout. Last night we added the first border. It's wider at the top and bottom since we wanted to add length. 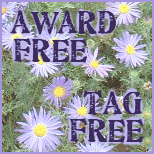 We only had a limited amount of this purple and that's why we couldn't make it as wide as we wanted to. This is the outer border that we settled on last week but now that the first purple border is on, Marg thinks that we should have another purple border instead. She did find a darker purple but there isn't much of it and Ann didn't much like it. This will be given away to a charity and I'm sure someone will love it so I really don't see what all the haggling is about but there you have it. Marg is 87 this month and has all her faculties whereas Ann is 82 and has Alzheimers. She can get feisty at times. 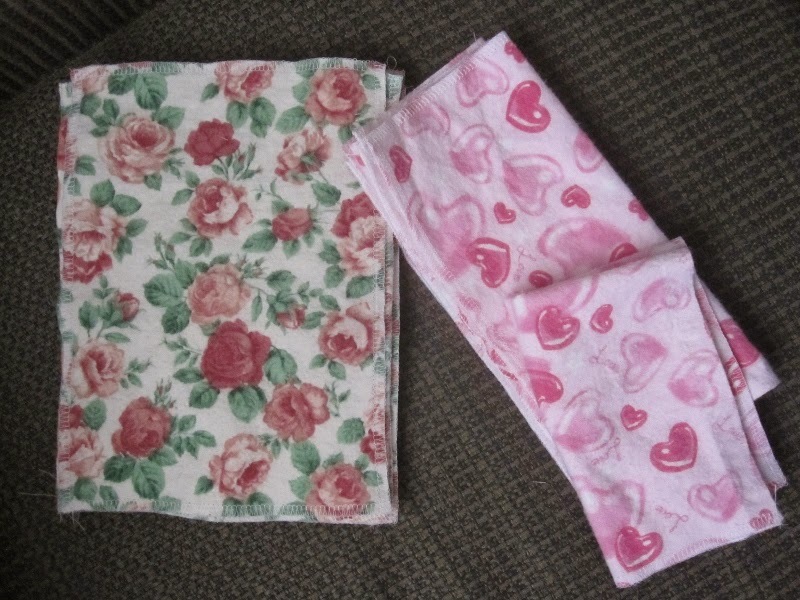 I made some flannel washcloths. My son and daughter-in-law requested them. 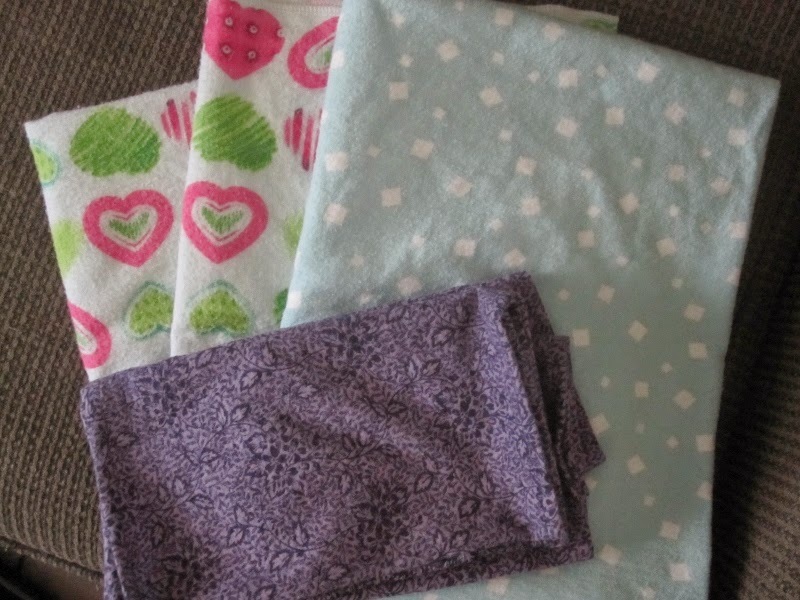 The purple flannel was hemmed to be used as burp cloths and the others are bigger flannel blankets. 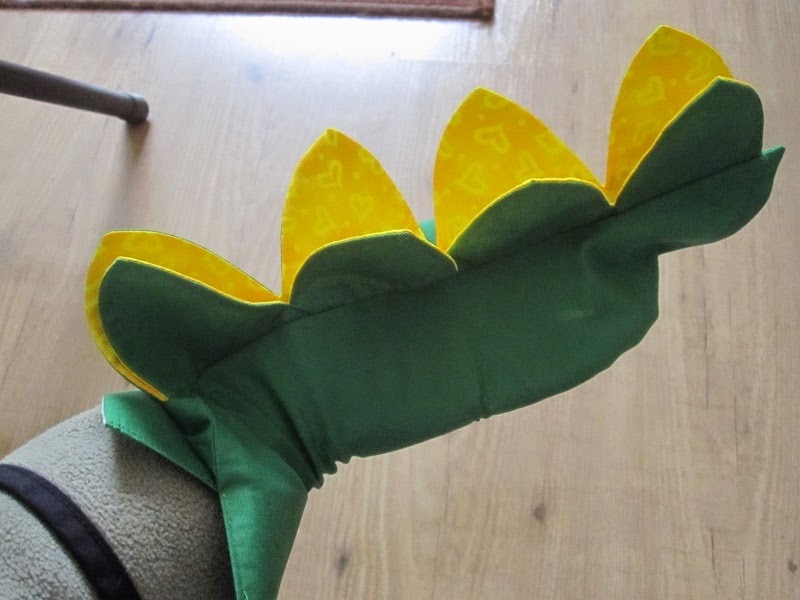 I also sewed up a dinosaur tail for little Luc. He has the main costume but needed a tail. Now I have to make a navy blue one for little Patric. I agree, the quilt top looks pretty nice as is. The colors go well together. Dinosaur tails; fun. Well, dinosaurs simply cannot go without a tail, so good thing you stepped in and remedied the situation! 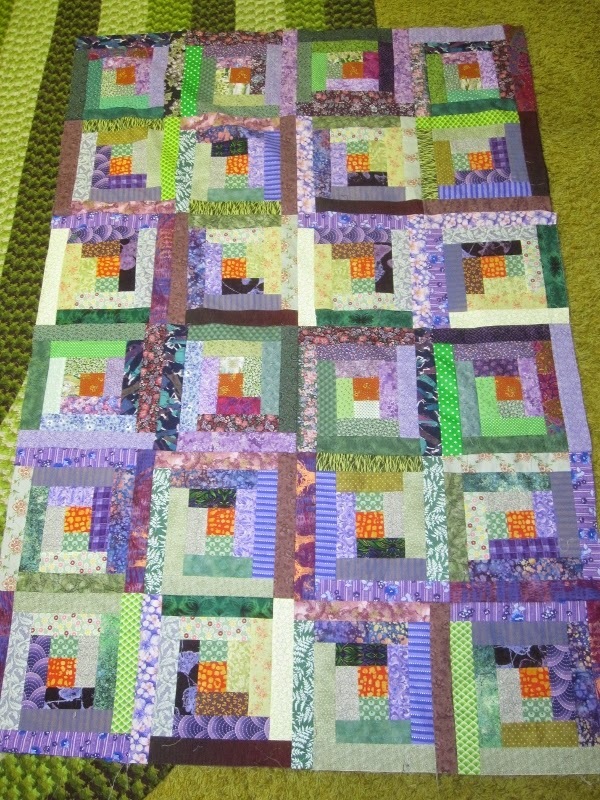 As for the quilt - such pretty bright colours (and I like the green for the border). The quilt is lovely, either way. And still quilting at their age, well done, Your littlies are so lucky to have you sewing for each one, Hope you keep a photo record of everything. Cheers,Jean. I hope I'm still quilting at 87,the quilt is lovely!! 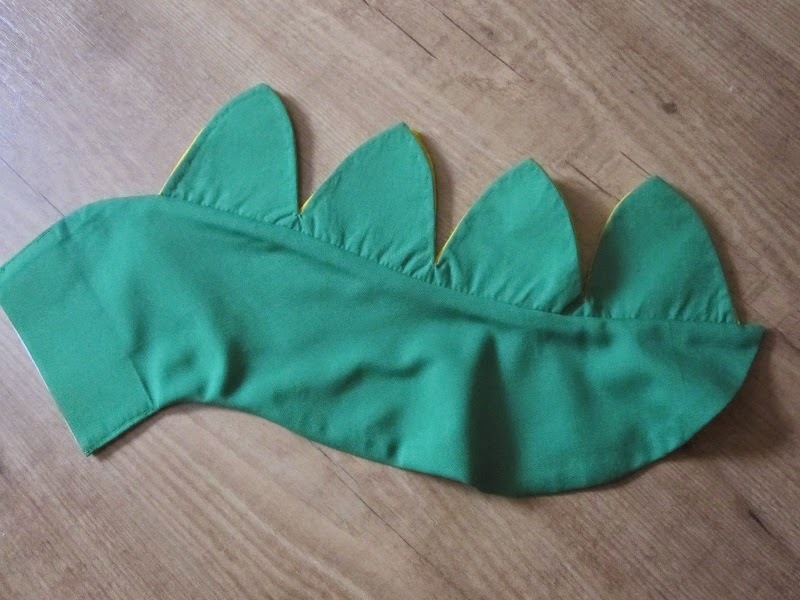 You've been so busy girl, love the dino tail, I'll never forget making a dinosaur costume for my oldest son when he was about four - my ambition was so much greater than my skill, but it turned out really well, much to my surprise! A dinosaur without a tail? Can't have that! Love the colours of the quilt!